Aquaculture is known as fish or shellfish farming. They breed, rear, and harvest plants and animals in all types of water environments such as ponds, rivers, lakes and oceans. 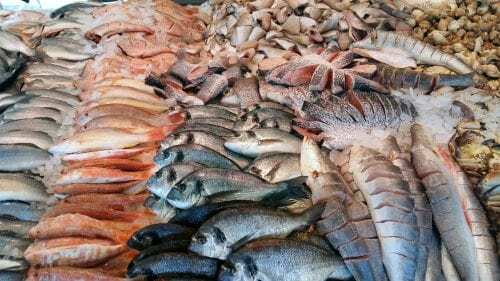 Aquaculture produces food fish, sport fish, bait fish, ornamental fish, crustaceans, mollusks, algae, sea vegetables, and fish eggs. There is both marine aquaculture and freshwater aquaculture. Marine Aquaculture contributes to seafood supply and supports commercial fisheries. Aquaculture helps produce more seafood supplies for commercial fishermen to continue to fish, which helps maintain economic activity in coastal communities. Freshwater Aquaculture contributes to produce species that are native to rivers, lakes, and streams. They typically produce catfish, trout, tilapia, and bass. Aquaculture is a viable method to produce seafood, since over-fishing has been an issue, it’s a growing resolution. The National Oceanic and Atmospheric Administration is a leading agency on aquaculture. They provide federal guidance and financial aid to help develop aquaculture regulations and the physical systems. It’s so important that we continue to grow aquaculture to preserve our marine life. Aquaculture enhances wild fish, shellfish, and plants that we can harvest. It also restores threatened and endangers aquatic species. 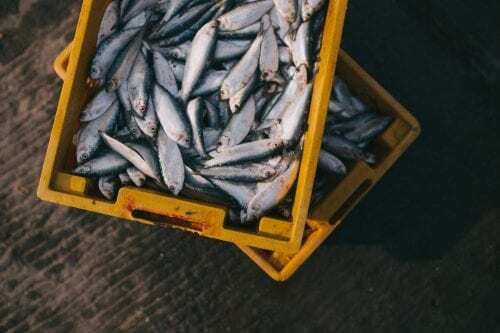 Without aquaculture commercial fishermen would be out of jobs and there would be no more seafood on our dinner tables because fish and other seafood would become extinct. In Massachusetts the aquaculture industry is very diverse compared to the agriculture industry. Since 1970 aquaculture has grown to include more than 15 species of fish and shellfish that are cultivated. There are many institutions involved in the aquaculture industry. Most aquaculture in Massachusetts occurs on the South Shore, Cape Cod, Islands, and South Coast area. There are only a few shellfish growers on the North Shore, in the Ipswich, Gloucester, Rowley area. The fishing industry is so important to our Massachusetts economy, without it thousands will lose jobs. We need to increase marine aquaculture in northeast Massachusetts to ensure the commercial fishing industry doesn’t collapse. Rogers Spring Hill Garden & Farm Center Inc.
A. Promote marine science education for undergraduate and graduate students. B. Provide a research and development climate that fosters fundamental discoveries in aquaculture, marine ecological and environmental processes, and the biotechnological potential of culturing marine organisms. C. Communicate marine science to the general public and grades K-12 through outreach programs. For over 30 years Cherry Street Fish Market has been, and continues to provide the North Shore’s seafood lovers with the highest quality and widest variety of seafood products! They sell a variety of products at their fish market, and are known for their famous lobster rolls. John and Joe Loblundo opened the Twin Seafood in Concord in June of 1991. Twin Seafood sells fresh fish and seafood and has an extensive dine-in and takeout menus. They also cater events, they have a great Clambake Menu. David’s Fish Market & Lobster Pound is one of the best fish, seafood and shellfish markets in New England. It is located in Salisbury right off Route 1. Family-owned and operated since 1946, they are committed to offering the only the best seafood available. 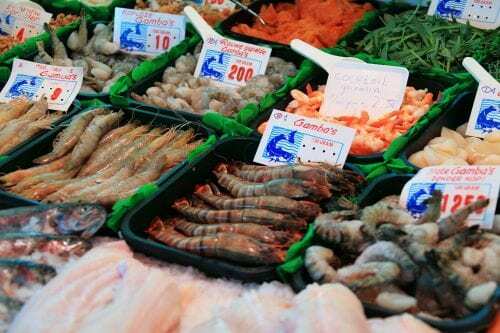 David’s Fish Market & Lobster Pound has a fantastic selection of fish, seafood and shellfish. They supply seafood to restaurants throughout New England, and constantly have the freshest seafood anywhere! Two Buoys Lobster is owned by the Penny family – Wes and Fred. A small independently operated family owned business that actually has 3 facets. Not only do they provide lobster tours through Boston Harbor but are actively involved in the commercial lobster fishery. 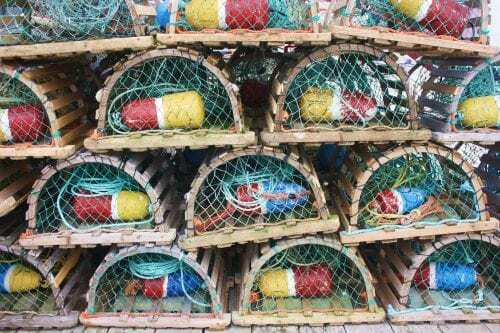 During their season, roughly May through November they fish up to 800 lobster pots. 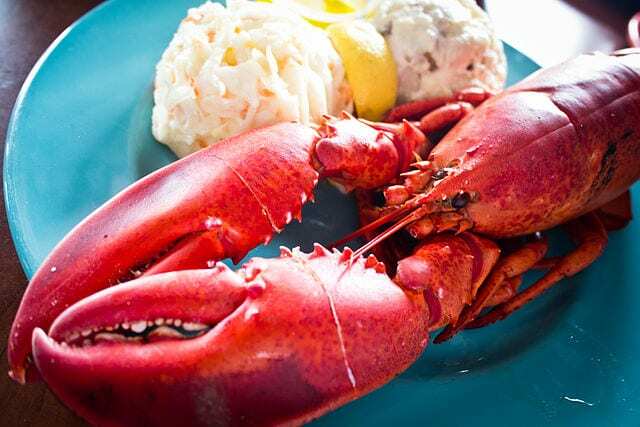 Donna and Susan sell our lobsters as well as other fish products at the Billerica Farmers Market and the Lowell Farmers Market from the end of June through October.